This function creates a LV network from M. Lindner, C. Aigner, R. Witzmann, F. Wirtz, I. Berber, M. Gödde and R. Frings. “Aktuelle Musternetze zur Untersuchung von Spannungsproblemen in der Niederspannung”. 14. Symposium Energieinnovation TU Graz. 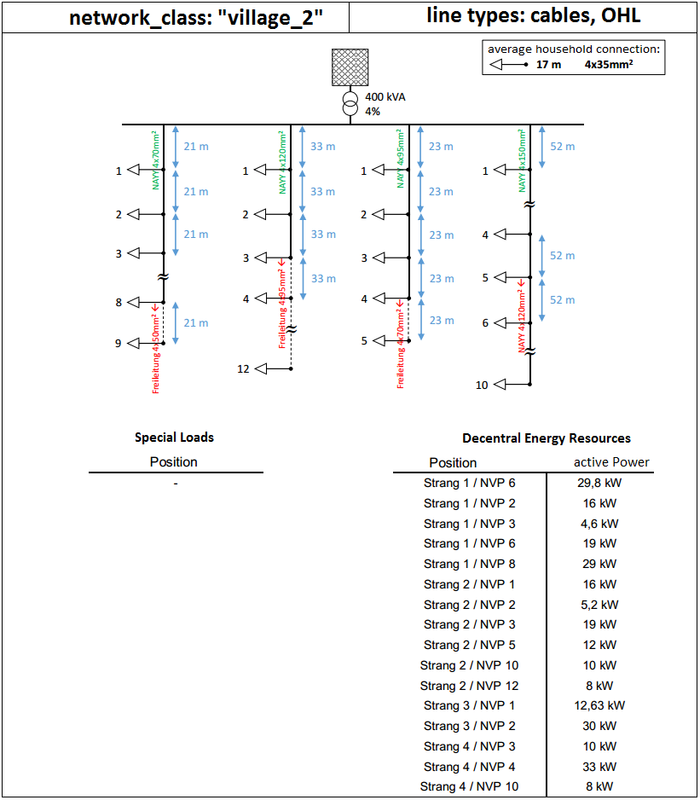 2014 which are representative, synthetic grids for voltage control analysis. 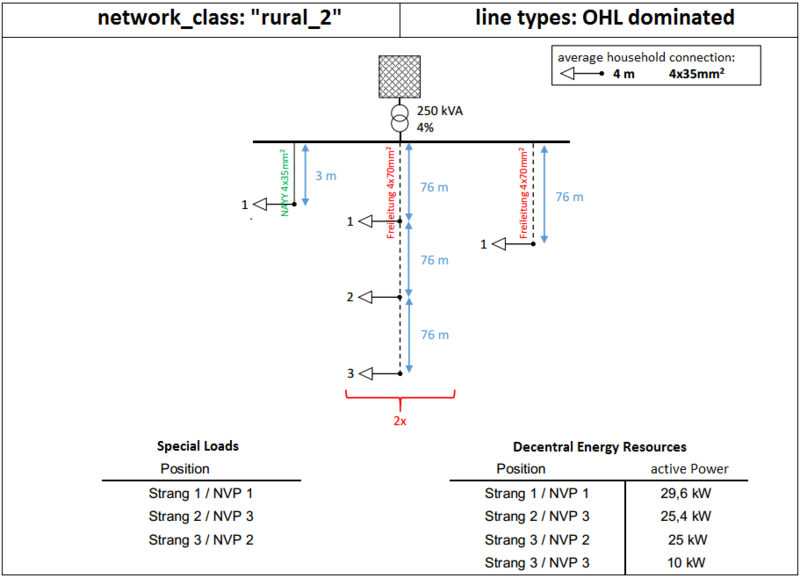 According to Lindner the household loads are 5.1 mw and the special loads are 7.9 kW. The user is suggested to assume load distribution and load profile generation. 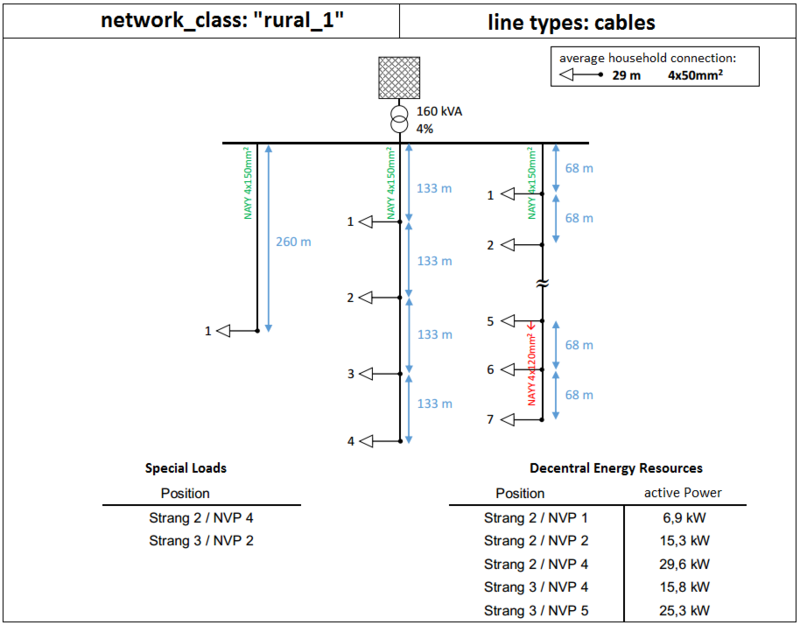 The line parameters according to the given types are received from pandapower standard types and literatur (as stated in the code). 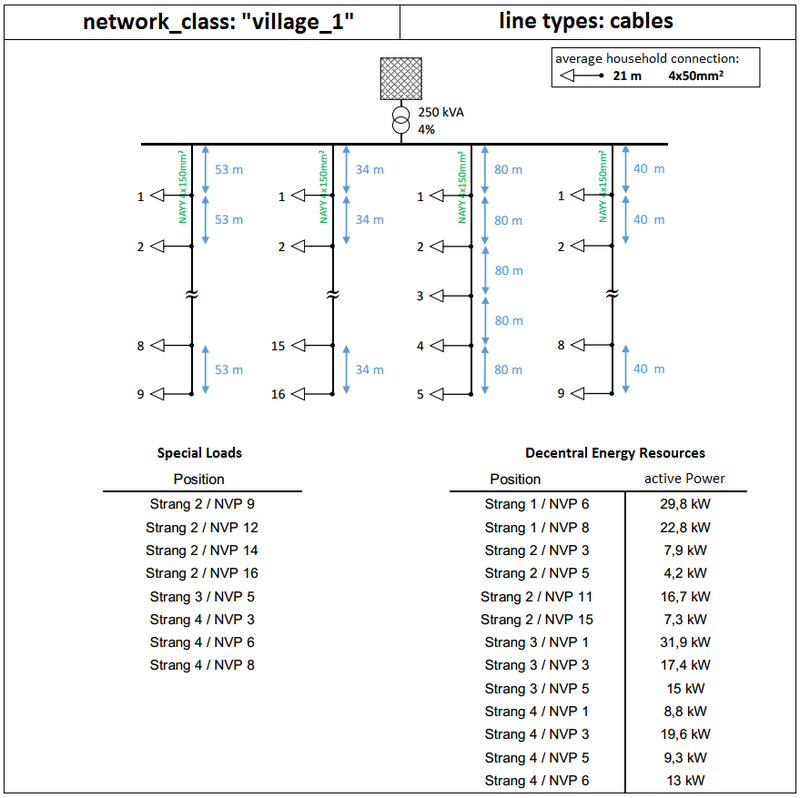 Transformer parameters, except the given ‘vk_percent’, ‘sn_mva’ and voltage levels, are based the pandapower standard type data.